Drones or UAVs (Unmanned Aerial Vehicles) started off as exclusively military tools. Did you know that the first drone was invented as early as the 1900s? Of course, the simple, lumbering flying vehicles back then look nothing like modern, hi-tech types of drones of today. And it is not just the military that has access and uses drones nowadays too. Drones have seen such rapid development and commercialization that just about anyone can get their own drone. Chances are, you have probably even seen or handled a drone already. The drone’s popularity is quite extraordinary considering how such technology was exclusively made for military purposes. Now there are hundreds and hundreds of drone models available in the market. 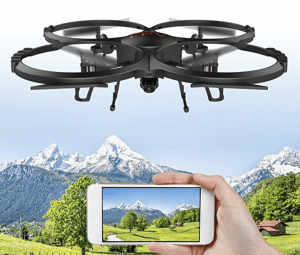 So many in fact that, a lot of budding drone enthusiasts have fallen into complete confusion as to what UAV they are looking for and what is best suited for them. There are a multitude of types of drones. Even more confusing is that there are a lot ways to segregate the types of drones. Organizing drones into certain categories is no easy task simply because there are so many ways you can organize them by. The UAV has evolved to the point where classifying them requires more than just a simple generalization. Whether it is their general use, their number of rotors, even how they are assembled, there are a lot of types of drones out there. And it is easy to lose yourself in the heavy terminologies and complicated tech-speak. That is exactly why we have compiled a quick but comprehensive list of the different types of drones. So as to not overcomplicate matters, we have included only the information that will prove useful to your quest to find your own drone. Gone are the days when all UAVs look basically like miniature planes. Types of drones nowadays come in four basic sizes: large, medium, small, and nano. Typically, the bigger the drone, the more challenging it is to fly. Small and nano drones are more favoured with beginner pilots. However, bigger drones do often (but not always) come with higher quality features. So, your decision will also have to take into account what you are using your drone for. These drones are over two feet long and are the kind of drones often found in military facilities. They are used for surveillance in active areas or for delivering light cargo into hard to reach and dangerous places. Large drones are a bit like miniature aircrafts and take more than one person to lift it. However, there are commercial large drones available on the market such as the Holy Stone Large Drone. It is more than two feet wide and has a built-in 720p HD camera. Like most large drones, the Holy Stone Large drone has a flight time of about 15 minutes. The most common drones fall into this category. Medium sized drones are one to two feet in length and often come equipped with a camera. The U818A Drone is a good example of a medium sized drone. Drones of this size are easy to track, made of sturdy materials, and often loaded with features that make flying super easy. Most drones for racing are medium sized for those very reasons but we will talk about that type of drone in a bit. Most beginner pilots often get drones of this size because they are easier to manoeuvre, lightweight. And, in a lot of cases, they are much more affordable than medium to large drones. 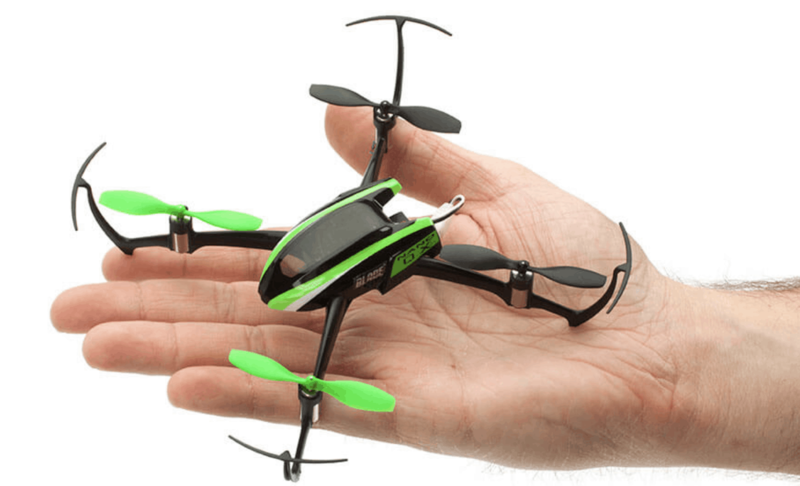 Small drones, such as the TOZO Q2020 Drone can fit on the palm of your hand. Some are even designed to be foldable. The catch with small drones, however, is that they are not as well equipped as their larger counterparts. A lot of small drones come with built-in cameras. But, aside from the really pricey ones like the insanely magical DJI Mavic (with tis Full HD 1080p, 4k video streaming camera). Their image and video streaming quality is not as crisp as the ones taken by medium to large drones. But as a recreational, starter set, the small drone is a wise choice. These are the smallest drones currently available to the public. The nano drone is also great for novice pilots to practice flying. Obviously, these drones are smaller than small drones. They are only a few inches long (the UDI RC U839 Nano sits at about three inches!) And they can even fit in your pocket. Again, because of their size, their features are often not as quality as larger drones. But they do fly well and make for great toy drones. This basically means the number of propellers the drone uses. There are several types of drones according to how they were designed to fly. Each type has their advantages and disadvantages that you should take note before you purchase your own drone. As the name implies, this drone only operates with one big rotor. 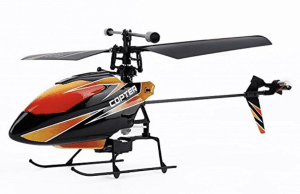 Most of them look like helicopters and are typically used for land surveying and scanning. Because, they’re able to hover vertically in the air much longer and are more stable than multi-rotor drones. However, they can also be for recreational use like the OCDAY V911. These drones are built to be sturdy and durable. 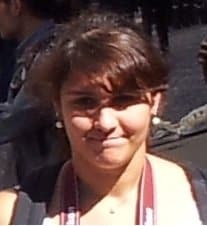 Most can survive a multitude of crashes. They have an impressive payload capability and enhanced flight time. 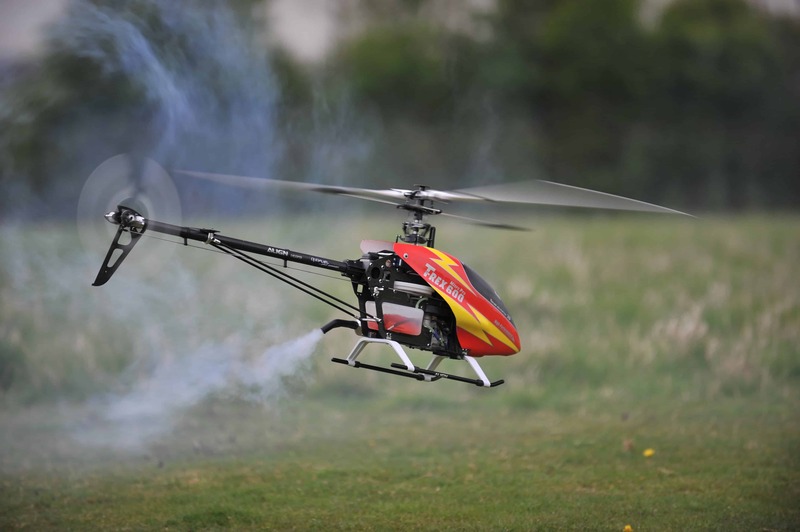 Having a single rotor, the blade used is longer and doesn’t need to spin too fast. So it’ll use less energy, increasing flight time. However, this has complicated controls and can be tricky to fly. The huge spinning blade also poses a risk. Because it’s often not protected by a casing like some multi-rotor designs. For these reasons, novice pilots may not appreciate drones of this type. These drones are designed with more than one rotor and are much more common than the single rotor. Multi-rotor drones are mostly used for recreational flying, aerial photography, and filmmaking. These drones come in all shapes and sizes and are the cheapest drones in the market. They are also the easiest to fly so beginners often opt to buy multi-rotor drones. The main advantage of having more than one rotor is that in the event of one of the rotors malfunctioning, the drone can still land safely using the remaining propellers. Multi-rotor drones can come with up to 3 to 8 rotors but tricopters and quadcopters are the most popular so we will focus on those two for now. These drones have three rotors in a triangular arrangement (like the CX-33W Drone). Tricopters can be cheaper than other multi-rotor drones because it does not require as much material to manufacture, this type of drone is not as common as the quadcopter. 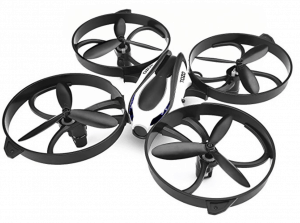 If you have seen a drone before, it was most likely a quadcopter or a drone with four rotors. This multi-rotor drone is easily the most popular type of drone because it is lightweight, stable, and safe. 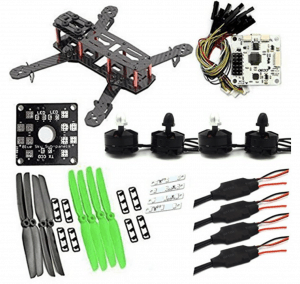 They can also come well equipped with a ton of features that make flying a snap like the EACHINE E58. Depending on the size and on the features installed, this type of drone can range from super affordable to shockingly pricey. This type of drone looks and flies very much like an airplane. They cannot hover but they do glide in the air and can fly at higher altitude. Fixed wing drones have a single rigid wing and do not require as much energy to fly. This type of drone can stay in the air much longer than other types. Fixed wing drones are more familiar in the military because they are efficient and stealthy. They can also fly for as long as several hours which make them ideal for surveillance missions. 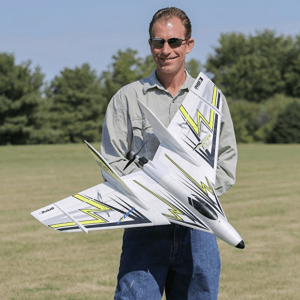 Recreational fixed wing drones are also available like the E-Flite EFL5650. Types of drones like this, however, may require proper training to fly because it has such complicated controls. They are also more expensive than the other two types. In some models, you need a launcher to get this drone flying in the air. Fixed wing drones are not as simple as the other two types of drones. So, it is ill-advised to get a UAV of this design if you are just starting to learn how to fly. Some drones come ready made while others require a bit of work to assemble. Generally, there are three types of drones according to how they are assembled. This is the type of drone that is best for novice flyers. As the name suggests, RTF drones come fully assembled and ready to roll. Other than charging the drone’s battery to full, you do not need to set up anything with RTF drones. 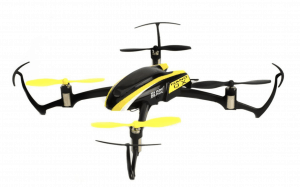 UAVs like the Holy Stone HS200D can be flown practically the moment you get it out of the box. The downside is that RTF drones do not offer much customization so you cannot add your own personal touches to your drone. But if you are not really planning on toying with your drone’s engines or body and want to focus on just flying it, RTF drones are for you. Because it comes fully equipped though, this type of drone is comparatively more pricey than the other types. 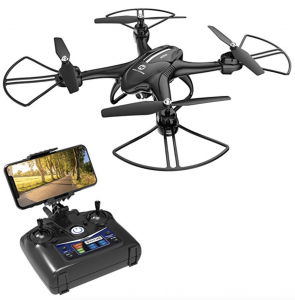 This drone does not include a transmitter so it is relatively cheaper than RTF. If you have your own transmitter, you would most likely save money by getting a BNF drone like the BLADE Nano QX. Beginners are not advised to get BNF drones unless they have access to a good quality transmitter that is compatible with the drone of their choice. ARF drones are mostly preferred by veteran pilots or drone racers. Types of drones like the ARF require assembly and may have some parts missing. Those just getting into the hobby of flying drones should not get an ARF drone because it is not very simple putting together a drone. In fact, it takes some skill to build a drone from scratch. And, if you do not fully understand how drones operate, you might end up with a ruined and grounded UAV. 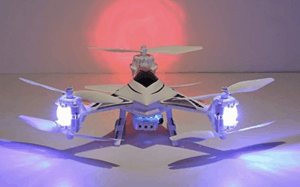 Drone racing enthusiasts mostly get ARF drones since they can customize them however they want. The QWinOut QQ Super Multi-Rotor Drone is a good example of an ARF drone for experienced racers. Lastly, there are types of drones that are commonly classified according to their use. UAVs are getting more and more specialized and you can now use your drone for more than just flying. Although almost all drones share the same essential features, most are designed specifically for a certain purpose, be it for casual flying, professional use, or competitive racing. To put it simply, there are three broad usages for drones. These drones are equipped with powerful lenses that can take beautiful aerial shots and videos. Professional photographers and filmmakers utilize these types of drones to get that bird’s eye view that you just cannot get on the ground. Camera drones are also designed to be sturdy and capable of withstanding the elements, at least to a certain degree. It should not come as a surprise to anyone that camera drones are often expensive, costing a couple of hundred dollars minimum. But if you ask any photographer or filmmaker, chances are they will say that getting a professional camera drone is well worth the price. When talking about camera drones, you cannot ignore drones made by DJI, specifically the DJI Spark. With its revolutionary equipment, software, and features, DJI Spark is one of the most popular camera drones out there. 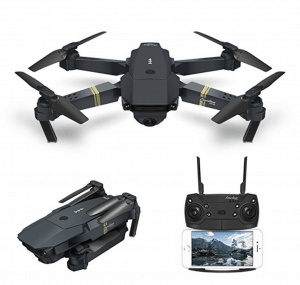 However, if you are still a beginner and looking for a bargain yet quality camera drone, there is always drones like the Force1 U49W Blue Heron and the Holy Stone F181W. Both drones have top tier quality built-in cameras and are still fairly expensive. But, you won’t have to break the bank that terribly. Camera drones for professional photography are often produced with powerful batteries so they have extended flight time, sometimes close to thirty minutes per full charge. It should be noted that most small to large drone models do come equipped with a camera. But, unless you are looking for expert quality, they are not on the same level as professional camera drones. However, if you are a beginner and have a fondness for photography or filming (but do not have a professional’s budget), there are good quality camera drones like the UDI U45 Raven Drone. It is easy to fly and mercifully affordable for a camera drone of its calibre. Also known as trick drones, types of drones such as this is mostly for recreational use. Small to nano drones are often considered toy drones. Generally, they re small, lightweight, easy to pilot, and have colourful designs and fun features like LED lights. Toy drones are much cheaper than professional drones since they do not have as much high-end features. They are also smaller so that they can be flown indoors. Suffice it to say, this type of drone is the most ideal for beginners or kids. 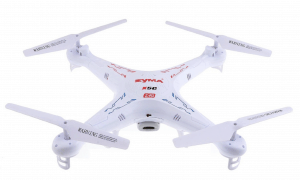 Some toy drones like the SYMA X5C are equipped with small cameras but are ultimately for casual flying only. Nano drones also make for great toy drones. Take for instance the Cheerson Cx-10. 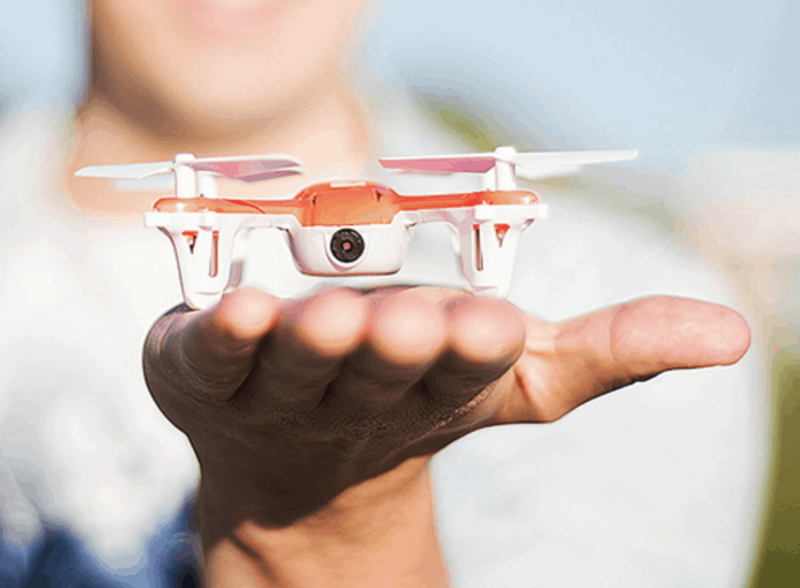 It is an incredible tiny drone that is inexpensive, stable to manoeuvre, and fun to fly. And it is not just UAV manufacturers that make toy drones. Toy companies are also getting in on the action. Star Wars fanatics absolutely adore the Air Hogs Millennium Falcon Flying Drone. Unfortunately, because this type of drone is not designed for professional use, toy drones are usually made of pretty standard material. More often than not, their flight time will not exceed over eight minutes. And, although they can play tricks, they are not as durable as other drones. That being said, toy drones are the best types of drones to start with. Practicing with a toy drone is easy and won’t cost you too much. Finally, we have these types of drones for competitive racing. It is no surprise that racing drones has gained as much popularity as it did. People of all walks of like love to compete in just about anything and as drones got more and more advanced. Of course everyone wanted to see how far they can push their flying vehicles. Drone racing is an adrenaline-charged, action packed competitive sport that appeals to just about everyone. Usually, expert drone racers prefer to build their own drones to customize it with as many tricks features that will make racing easier or more fun. 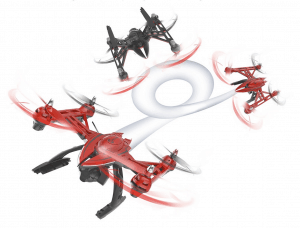 Pros buy ARF drone kits like the LHI 250 mm Race Quadcopter. Newbies to the sport of drone racing, on the other hand, do not have as much technical knowledge on drones. So, building a UAV to race against other UAVs is out of the question. 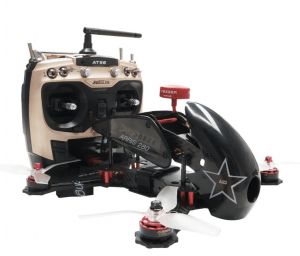 However, RTF racing drones are available like the ARRIS X-Speed 280 and the ARRIS C250. The downside is that these drones do not come cheap. But they are fast, durable, resilient, and have high quality FPV cameras so you at least get your money’s worth. No matter what types of drones you choose, they will always have one thing in common: drones are prone to breaking. Without the proper care and handling, your drone might not survive more than a few flights. And no matter how expensive and advanced your drone is, you as the owner should know how to take care of it. Here are just a few pointers to extending your drone’s lifespan. Before your drone even gets off the ground, you have to be vigilant. Check if any props or screws look funny. Try to see if the battery is fully charged. Check if the controller is working. By carrying out an extensive pre-flight check up, you will lessen the risks of any aerial mishaps. It might seem like extra trouble but it’s trouble worth taking. Do not just let dust and debris settle in the nooks of your drone or in any types of drones. As much as possible, keep your drone squeaky clean to avoid anything from clogging the engines or messing up the propellers. Drones are not difficult to clean actually. You can use any household item to give your small flying aircraft a good polish. You can wet a cloth with isopropyl alcohol to wipe your drone carefully. And, you can use a canned air (or a small soft brush) to get rid of dirt or dust in those hard to reach areas like the motors. The batteries are one of the most important equipment of your drone since they power the motors. It makes sense that they should receive proper care as well. A damaged battery can spell disaster once your drone in the air so best not to neglect them. For starters, remove the battery from the drone when not in use. When you do use them, make sure that the batteries are fully charged but do not fully drain them. If you suspect that there is something wrong with your battery, do not use them. LiPo batteries have a general lifespan of around 300 to 500 charges so take good care of them so they can last long. Things like fixing or replacing the propellers and recalibrating the controllers should be learned. Since all types of drones are likely to get damaged one way or another in spite of your careful flying. You should also familiarize yourself with the drone’s parts, how they work, and what to watch out in case of a malfunction. Arming yourself with knowledge is always a good idea. Especially with medium to large drones. When you are travelling, do not just store your drone in the first flimsy bag you will find. Invest in a proper case or backpack to protect your drone from accidentally getting bumped around. While it is understandable to get addicted to flying, you should give your drone some time to rest and cool off for a few hours. Constantly flying your drone could result in overheating the motors and who know what could happen? The drone could malfunction mid-flight or stop working altogether. Give your drone a break too. Those are just a few tips to remember to keep your drone in shape. Mastering the art of flying, on the other hand, take practice and patience. And once you have chosen the different types of drones we have included in this guide, the sky is the limit!